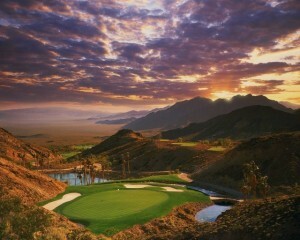 Trying golf for the first time could be the best thing you have ever done. People love golf because they can enjoy the outdoors, play golf with friends, visit wonderful places and challenge themselves. We guide you through all the information that you need, and help you meet other golfers. 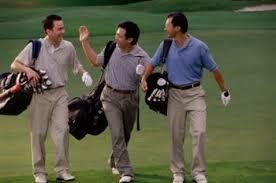 For the first lesson, come to the club with sport or golf shoes, movable clothing and a shirt with a collar if possible. We provide the clubs and after a few lessons, we will help you decide which clubs to purchase. Isn’t golf the game you play when you retire? Of course, golf is a great game to play when you retire, but it is also a fantastic sport for the young and for the family. Like every hobby, you can make it as expensive or cheap as you like. A set of golf clubs can cost you only 199€ and golf balls from 1€ each. However there are golf clubs that have ben sold for more that 30,000€. Lessons can be individual or in group. Like ski classes, its cheaper in a group, but you will learn more individually. Can I learn without becoming a member? Yes, we take non members and complete beginners. After a few lessons or maybe you get your licence, it is a great idea to become a member. You can then enjoy all of the benefits at Golf de Luxembourg. 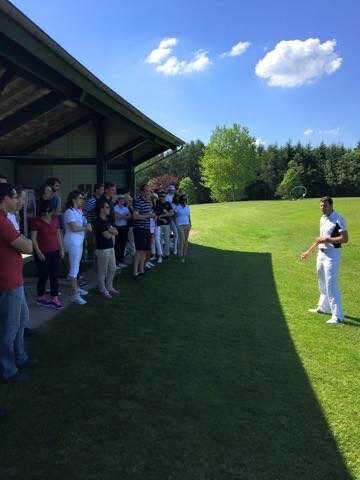 Can I practice at Golf de Luxembourg when I am not a member? As soon as possible. Many people are already booking up golf lessons, so the quicker you book, the sooner you can start.